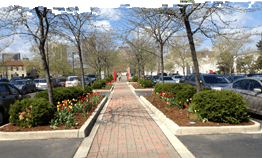 Buck and Sons is an unprecedented seventeen-time State of Ohio Award winner in Landscape Maintenance Unlimited. We consistently have won this category more times than any other single company in Ohio. 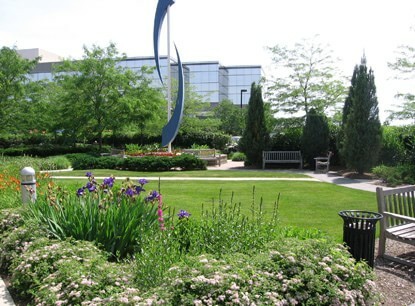 To fully reap the benefits of a well designed and executed landscape, one must be sure to provide care and maintenance while monitoring its health. Not unlike your pets, children or even yourself, your landscape requires proper nutrition, grooming and check-ups to ensure it’s continued healthy growth. The best designed landscape, with the best landscape plants and with the absolute best installation techniques, will not flourish or increase in beauty or value without proper care. In fact this same beautiful landscape could become an unsightly landmark. 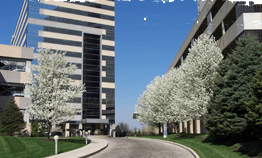 Our expert team helps maintain the outdoor appearance of this multi building commercial site in Dublin, OH. This site comprises of beautiful lawn areas and a multitude of perennial flowers as well as a diverse grouping of trees and shrubs. 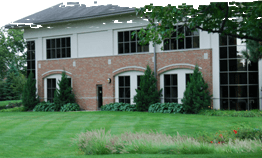 Our team has won multiple awards for our landscape maintenance of this property and others. Lush, beautiful lawn is our priority. Contact us to see how we can make your lawn the talk of the neighborhood! Trees need maintenance whether they are new or old. Have insect or disease damage? Call us to maintain the health and beauty of your trees! Freshen up your landscape with our spring and fall clean up services. New mulch and edged beds will make your home stand out from the rest!